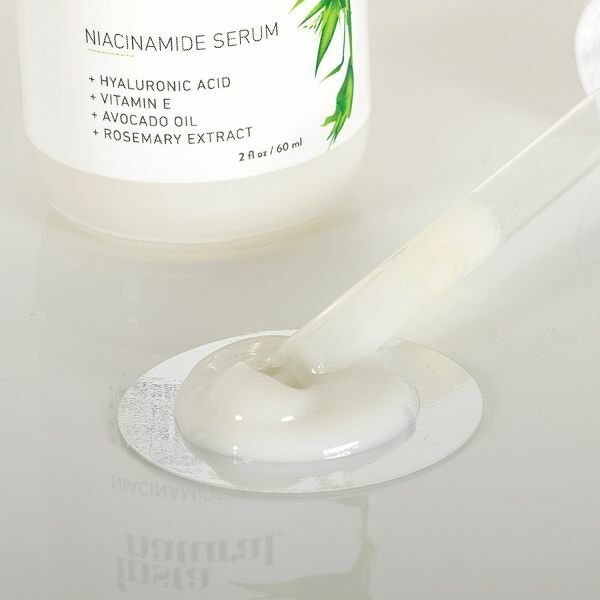 InstaNatural’s Niacinamide Vitamin B3 Serum is a complete skin care solution for dark spots and acne prone skin. It acts as a skin moisturizer by promoting skin hydration, suppleness, plumpness and softness. Applying the serum daily also helps to improve the appearance of pores and increase skin elasticity, all of which lead to a more even skin tone and fair complexion. InstaNatural’s Niacinamide Vitamin B3 Serum is well tolerated by all skin types and can be used on normal, dry, oily and sensitive skin. 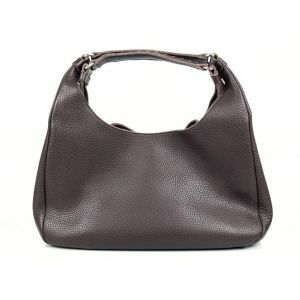 The moisturizing serum absorbs quickly and comes in a large 2 OZ bottle for long-lasting use. 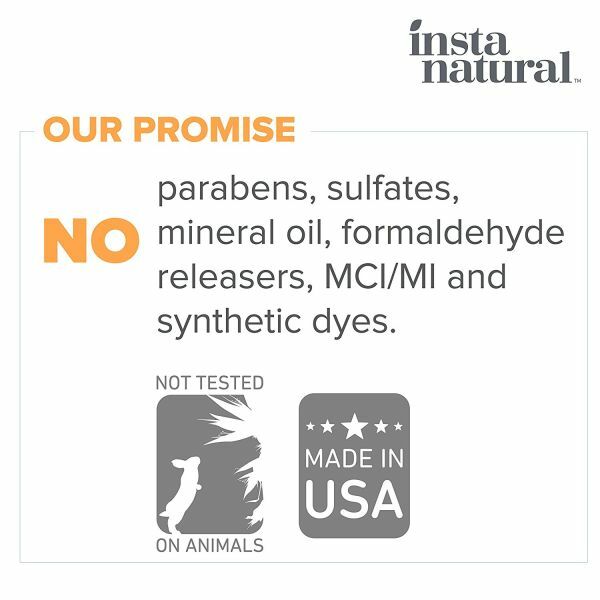 InstaNatural’s Niacinamide Vitamin B3 Serum is produced in small batches to ensure quality and freshness. 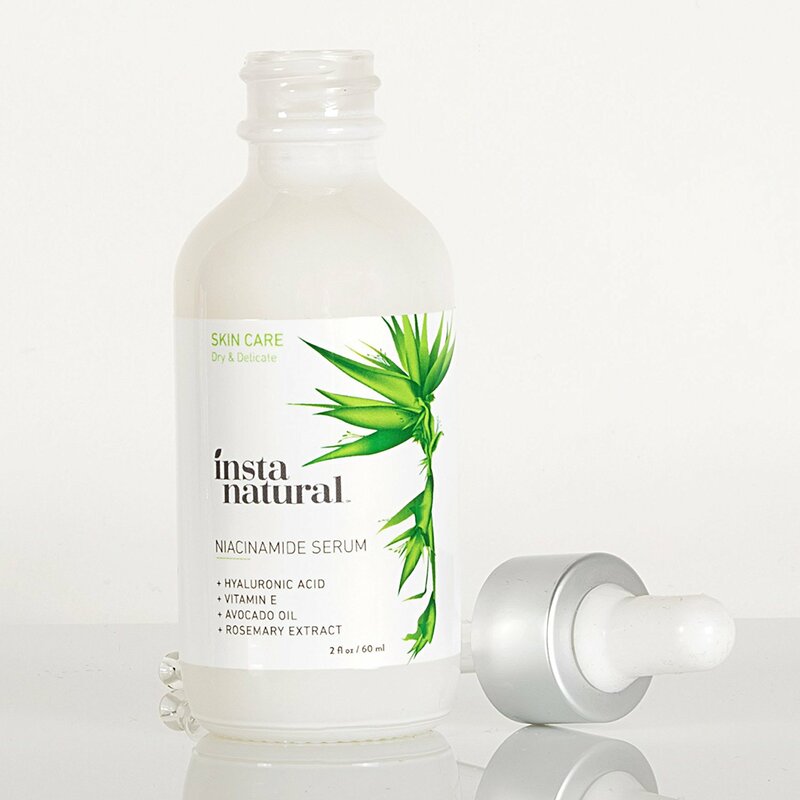 InstaNatural’s Niacinamide Serum provides powerful strength to the skins protective barrier, defending it from external factors that can cause breakouts, irritation and aging concerns. Niacinamide, in combination with Hyaluronic Acid, Avocado Oil and Rosemary Extract soothes, firms and replenishes the skin. InstaNatural Pro-Radiant Skin Brightening Serum. 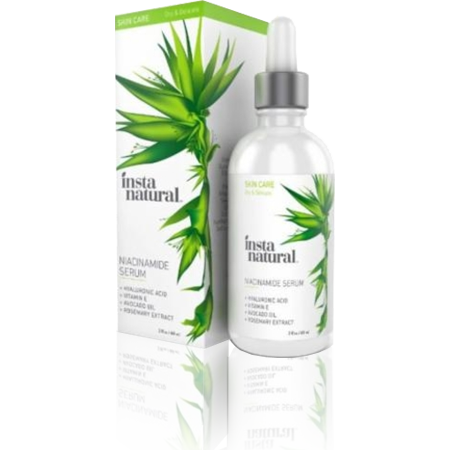 FIGHT BREAKOUTS & HYPERPIGMENTATION NATURALLY – InstaNatural’s Niacinamide Serum contains 5% Vitamin B3, which means it’s packed with natural, soothing properties that actively work to even your skin tone by addressing breakouts, blemishes, red marks and irritated skin. It also nourishes your skin to minimize redness or blotchiness while diminishing the appearance of hyperpigmentation to give your skin a youthful glow you’re sure to love. ADVANCED ANTI AGING COMPLEX – Introducing Niacinamide as a regular piece of any skin care regimen has been shown to reduce the appearance of the most common signs of aging on the skin, including those around the eye, mouth and forehead area. By supporting healthy elasticity in the skin, this Niacinamide serum acts as a wrinkle, fine line, sagginess and puffiness reducer. YOUR SKIN’S THIRST QUENCHER – Filled with other natural ingredients, such as Organic Aloe Vera, Avocado Oil and Vitamin E, this serum glides easily onto your skin and immediately delivers effective nutrients where it counts. The addition of Hyaluronic Acid as a natural intense moisturizer ensures that your skin remains hydrated and healthy while you achieve the skin care results you’re looking for. FIRM & PLUMP SAGGING SKIN – With regular use of InstaNatural’s Niacinamide Serum, you’ll see the appearance of your pores diminish while your skin regains a firm and plump look, giving you a healthier glow. This skin brightening serum is the perfect remedy for anyone looking to gain a brighter, smoother and more youthful complexion with a lessened appearance of baggy or thin-looking skin all over the body, including the face, hands and neck. ULTIMATE ADDITION TO YOUR ROUTINE – Implementing Niacinamide into a daily skincare regimen couldn’t be easier than in the form of a serum. With InstaNatural’s potent Niacinamide serum, it’s easy for you to add it as a spot treatment between your daily cleanser, exfoliator or toner, or even for you to simply add a few drops of the serum into a moisturizer you’ve already found that works perfectly for your skin type-whether it be normal, dry, oily or even sensitive.